Everyone knows a bird is sick when you see it sitting still, looking depressed with the feathers all disheveled. The problem is, that description alone is only a tiny fraction of the puzzle to diagnosing what is wrong with your bird. 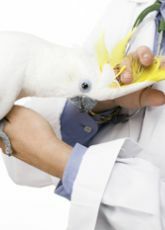 As you already know, treating the symptoms never works; you must find the cause and treat that if you have any chance of saving your birds life. 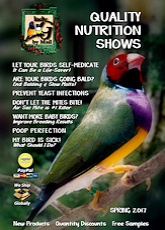 Often finding the cause can be as simple as taking a closer look at your birds' fresh droppings. The one thing to remember with droppings is they will normally be inconsistent when healthy. This is due to the fact that a healthy bird will be eating a rich and varied diet. When ill the droppings will be consistently abnormal. In times of stress the droppings will naturally be more watery. This is due mostly to the birds fight or flight instinctual response. When in a panic birds will expel any waste in their system prior to taking flight. More Urine and Urates are produced than feces each day. If the stress is ongoing the majority of the droppings will have very little feces in them, if any at all. If the droppings aren't quite right but you can't pinpoint the problem either, you may want to try a few simple remedies. First I recommend Thrive. This supplement boosts the immune system and helps the bird to heal itself. 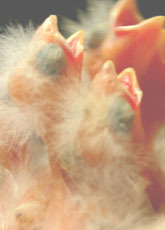 The second is Vitalize to give the bird back the extra energy it needs to recover more quickly. 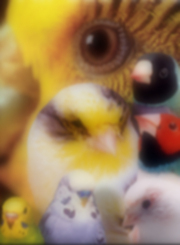 Finally Hearty Bird to bring your birds diet back in to balance in order to prevent the problem from returning.